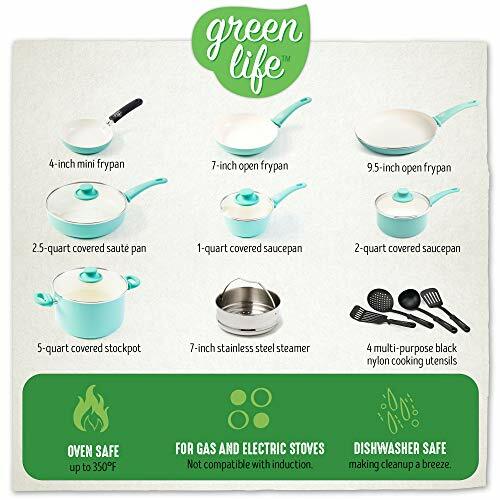 The GreenLife soft grip 16pc ceramic non-stick cookware set, Turquoise makes the perfect addition to any kitchen. 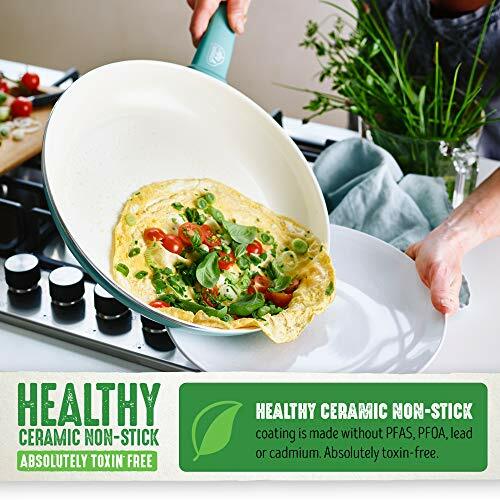 The high performance Thermolon ceramic non-stick coating is long lasting and easy to clean, made without pfas, PFOA, lead or cadmium. 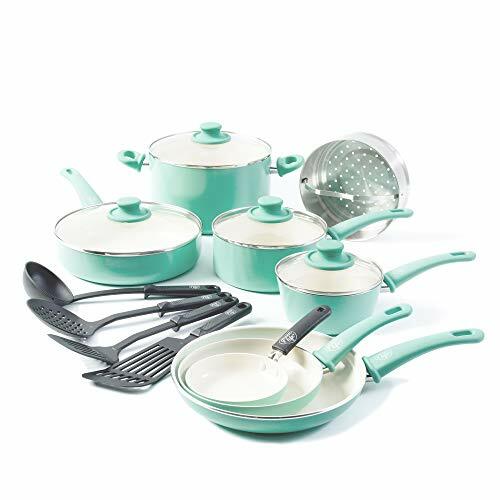 The aluminum reinforced body adds a touch of style to your kitchen, while the matching soft-grip handles provide much-needed Comfort. 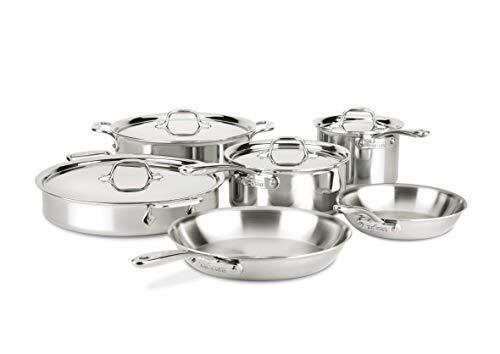 The glass lids allow for convenient monitoring while cooking and the dishwasher-safe construction makes cleanup a breeze. 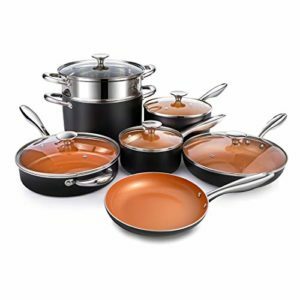 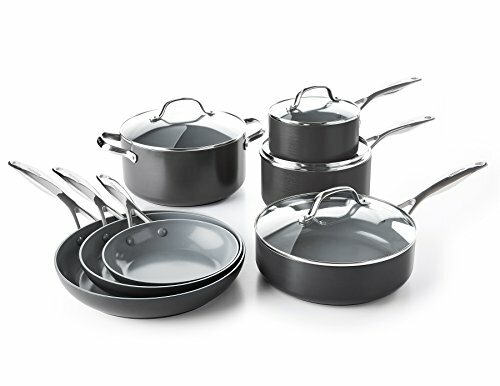 This set includes: 4″ mini frypan, 7″ open frypan, 9.5″ open frypan, 1Qt covered saucepan, 2Qt covered saucepan, 5Qt covered stockpot, 2.5Qt covered saute pan, 7″ stainless steel steamer, and 4 kitchen utensils.FREE YOUR HEALTHY CHEF – Our cookware is made of Thermolon ceramic non-stick, manufactured free of PFOA, PFAS, lead or cadmium. 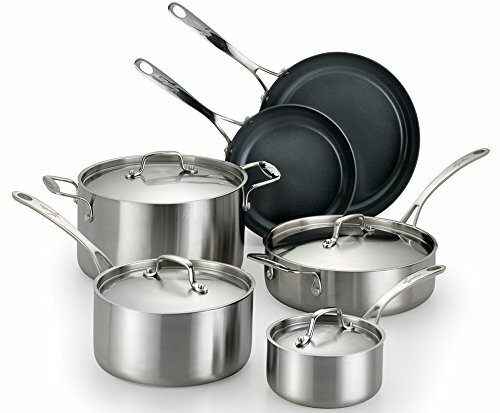 Even if you accidentally overheat your pan, toxic fumes will not release. 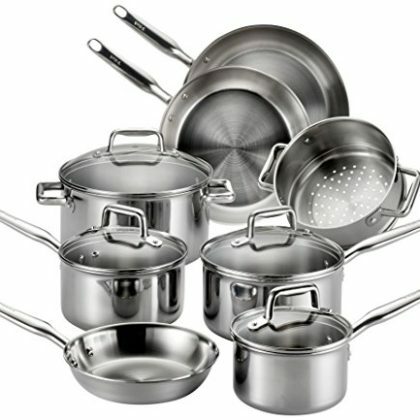 SET INCLUDES – 4″ mini frypan, 7″ open frypan, 9.5″ open frypan, 1QT covered saucepan, 2QT covered saucepan, 5QT covered stockpot, 2.5QT covered sauté pan, 7″ stainless steel steamer and 4 kitchen utensils. 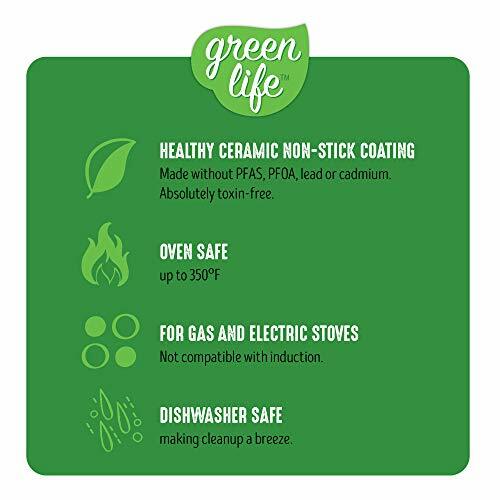 OVEN SAFE ERGONOMIC STAY COOL SOFT GRIP HANDLE – Soft to touch, maximum in comfort and oven safe up to 350F. 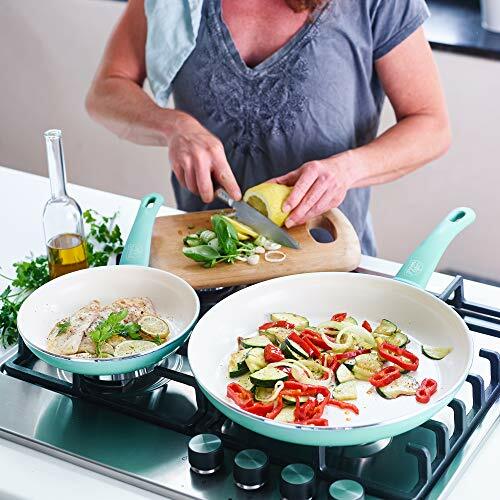 STURDY ALUMINUM REINFORCED BODY – creating an excellent heat conductor for all your recipes allowing you to use less energy whilst cooking. 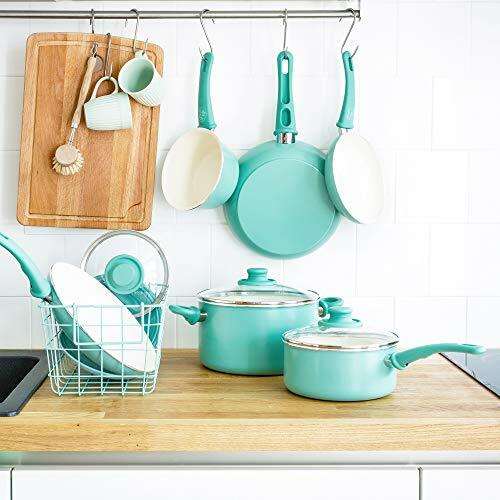 Trust us, you can do it too. 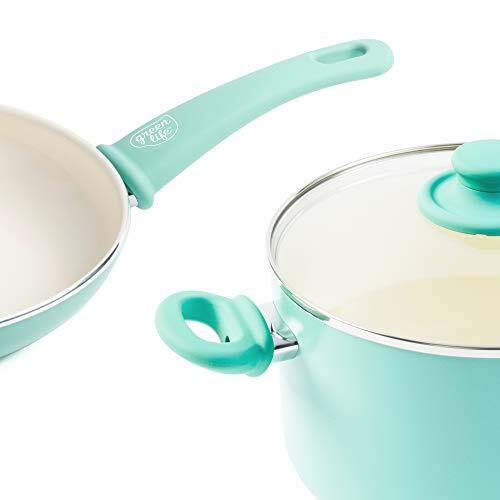 DISHWASHER SAFE – No more fighting over the dishes. 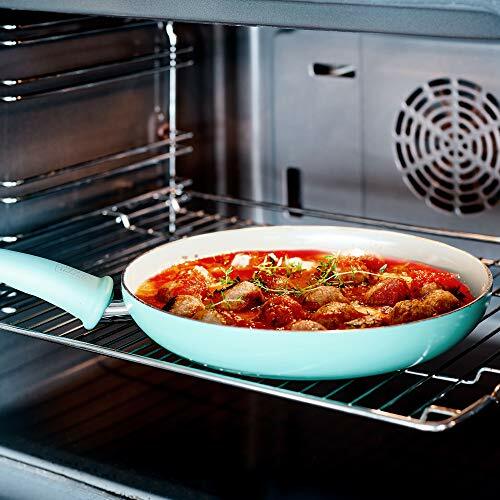 USE AND CARE – for best results, we recommend cooking on low to medium heat settings with butter or high smoke point oils using nylon or wooden utensils.